This report covers 2 weeks due to the SteemFest conference. Hi lostmine27, great to see you contributing to the Utopian analysis section - welcome! Very interesting topic! However, it's not a perfect fit for Utopian. Utopian can potentially reward analyses on open source projects. ...For an analysis of the Steem open source project, this is a very narrow scope. I think it's hard to define a list of "Steemit" accounts that are only used for Steemit's purposes as a company and I'm not sure if your account really represents this. There's not much public about who owns which accounts and their purposes. Nevertheless, you clearly have the skills and tools for Utopian analysis contributions and we'd love to see more from you! Finally SteemPress shows a marked contrast in usage statistics. While author numbers remain very robust, the drop-off in post numbers is huge. SteemPress has been plagued by spammers. Prior to HF20 many of these spam accounts were already targeted by mack-bot, steemcleaners or spaminator but continued to post for zero rewards. The HF20 Resource Credit system seems to have put an end to this practice. These accounts would now need to invest capital in order to continue to spam and would still gain no rewards. This is excellent news for Steem and a good output from the contribution which shows HF20 has had a positive effect in this regard. The aim of this section is to represent the current weeks activity along with a recent set of data which can be used to assess trends. 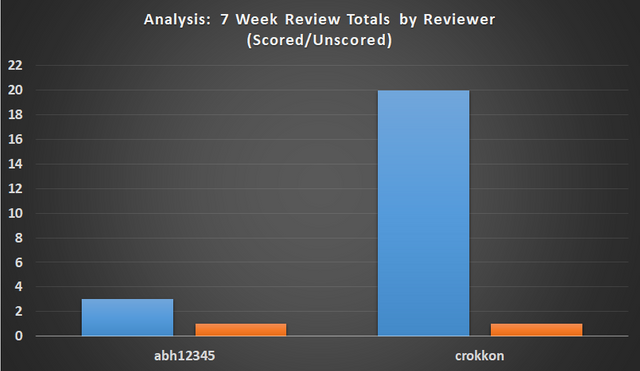 An average score of 79 is the best in 6 weeks and 4.8% higher than the 7 week average. The averages scores for the category have been pretty stable for a long time, but with only a handful of regular contributors, this was likely to be the case. 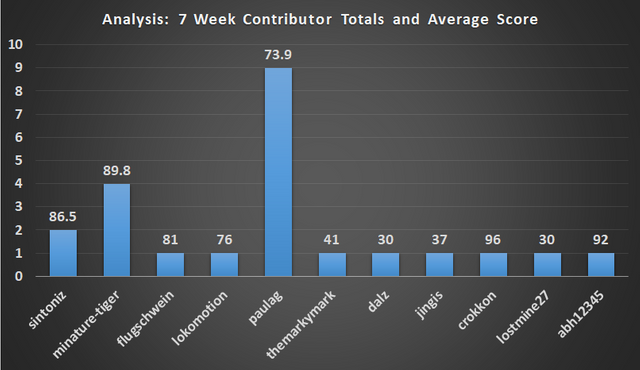 'paulag' heads the contributor table with 9 contributions over the past 7 weeks. 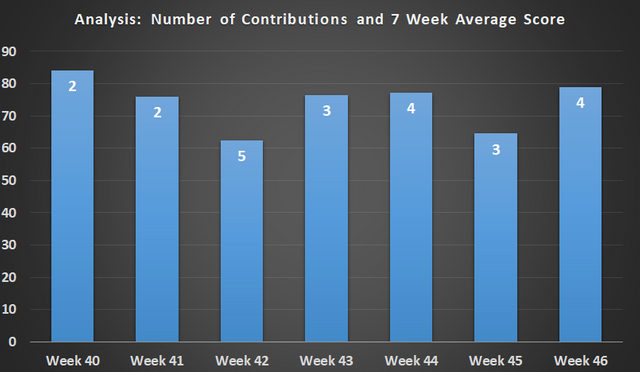 5 contributors have an average contribution score higher than 80 in the past 7 weeks. 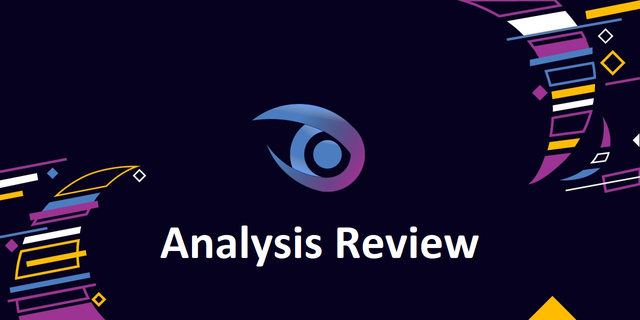 Two reviewers assessed all 23 contributions that have received a score in the past 7 weeks. Over this period, both reviewers were unable to give a score to one contribution each. Utopian-io were well represented and gave their presentation on the first morning. Unfortunately I didn't get a t-shirt, but did pick up 3 badges. This is a very nice report, giving comprehensive coverage of a relatively quiet time in the category. It's well done, and well presented. Despite the low volume of contributions, I am very impressed by the work being done by contributors and moderators alike. Please note that while I haven't changed the footer, I am not scoring #iamutopian posts based on the questionnaire. They have their own metric, and that will be the case until we go live with the new guidelines and new questionnaire, which will be comprehensive enough to reflect these types of posts. I thought about separating the weeks out but in the end decided a combination would be fine as long as I highlighted the main details of the week before last. Next week I shall try to include a couple more charts - average comment count could be an option. Thanks for the review and have a good weekend. These are the stats that encourage me to think that while our path is not without challenges, it has the commitment of talent and experience that adds value for the benefit of the community into the future. The numbers are quite low for the category right now and the market isn't helping. You are right though, plenty to look forward to! Your UA account score is currently 6.734 which ranks you at #112 across all Steem accounts. Your rank has improved 1 places in the last three days (old rank 113). In our last Algorithmic Curation Round, consisting of 252 contributions, your post is ranked at #65. You got a 15.24% upvote from @ocdb courtesy of @abh12345!